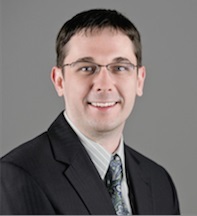 Jeremy Spears is a Raleigh divorce attorney practicing with Doyle Law Group, P.A. His practice focuses on family law cases including prenuptial agreements, separation agreements, and litigation involving child custody, child support, spousal support, marital property division, and divorce. Jeremy has the experience and temperament a good family lawyer needs when guiding clients through a separation or dispute regarding child custody or child support. There are many challenges that families and individuals face during separation and custody disputes, and Jeremy takes a solution-oriented approach in helping his clients navigate through a complicated process and towards a positive outcome. As a native of Eastern North Carolina, Jeremy spent his childhood enjoying the coastal waters from his home in Swansboro. Due to his love of the coastal region, Jeremy attended the University of North Carolina at Wilmington as a first-generation college student, and graduated with a degree in psychology in 2008. Upon graduation, Jeremy began his pursuit of a law degree with the University of North Carolina School of Law. During his time at the University of North Carolina School of Law, Jeremy participated in the UNC Domestic Violence Clinic and was designated a certified-to-practice student, which gave him the opportunity to represent victims of domestic violence and help them obtain domestic violence protective orders. Jeremy also interned at a local law firm while at the UNC School of Law, where he gained valuable experience working on a variety of family law cases including divorce, child custody, and child support cases. While at UNC School of Law, Jeremy was a member of the Holderness Moot Court Environmental Negotiations team, and was a finalist in the 2013 National Negotiations Competition. He also spent an extensive period of time with the UNC Innocence Project, serving as a member and, ultimately, was elected to serve as President of the organization by his peers. Jeremy now offers his time and expertise by volunteering monthly at the Compass Center for Women and Families. Before joining The Doyle Law Group, Jeremy practiced family law as an attorney in a Durham law practice. 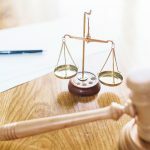 There, he handled a broad spectrum of family law matters, including prenuptial agreements, post-nuptial agreements, separation agreements, and litigation involving divorce, equitable distribution of marital property, child custody, and child support. When not practicing law, Jeremy enjoys playing tennis, learning to play his ukulele, visiting his family in Swansboro, and unwinding at beaches in the Wilmington area. 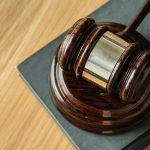 Do You Need a Raleigh Divorce Law Attorney? The Doyle Law Group, P.A., Attorneys at Law have served Raleigh area residents with divorce and family law cases for over 20 years. Call Jeremy at (919) 301-8843 or fill out our online contact form to schedule an initial consultation.